Synbiotics are known to exert multiple beneficial effects, including anti-inflammatory and antioxidant actions. The aim of this study was to evaluate the effects of synbiotic supplementation on carotid intima-media thickness (CIMT), biomarkers of inflammation, and oxidative stress in people with overweight, diabetes, and coronary heart disease (CHD). This randomized, double-blind, placebo-controlled trial was conducted and involved 60 people with overweight, diabetes, and CHD, aged 50–85 years old. 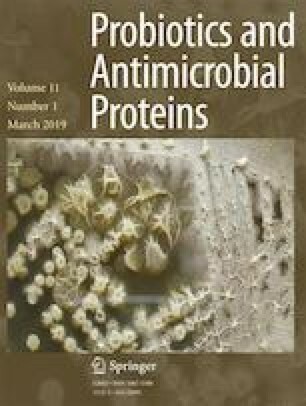 Participants were randomly allocated into two groups to take either synbiotic supplements containing three probiotic bacteria spices Lactobacillus acidophilus strain T16 (IBRC-M10785), Lactobacillus casei strain T2 (IBRC-M10783), and Bifidobacterium bifidum strain T1 (IBRC-M10771) (2 × 109 CFU/g each) plus 800 mg inulin or placebo (n = 30 each group) for 12 weeks. Fasting blood samples were taken at baseline and after the 12-week intervention period to determine metabolic variables. After the 12-week intervention, compared with the placebo, synbiotic supplementation significantly reduced serum high-sensitivity C-reactive protein (hs-CRP) (− 3101.7 ± 5109.1 vs. − 6.2 ± 3163.6 ng/mL, P = 0.02), plasma malondialdehyde (MDA) (− 0.6 ± 1.0 vs. − 0.1 ± 0.3 μmol/L, P = 0.01), and significantly increased nitric oxide (NO) levels (+ 7.8 ± 10.3 vs. − 3.6 ± 6.9 μmol/L, P < 0.001). We did not observe any significant changes of synbiotic supplementation on other biomarkers of oxidative stress and CIMT levels. Overall, synbiotic supplementation for 12 weeks among people with overweight, diabetes, and CHD had beneficial effects on serum hs-CRP, plasma NO, and MDA levels; however, it did not have any effect on other biomarkers of oxidative stress and CIMT levels. AF, FR, AS, MT-E, MS-E, and AK contributed in data collection and manuscript drafting. ZA assisted in conception, design, statistical analysis, and drafting of the manuscript. All authors confirmed the final version of the paper. The current study was funded by a grant from the Vice-Chancellor for Research, KUMS, and Iran. All procedures followed in the paper were in accordance with the ethical standards of the responsible committee on human experimentation (institutional and national) and with the Helsinki Declaration of 1975, as revised in 2008. Informed consent was obtained from all patients for being included in the study.